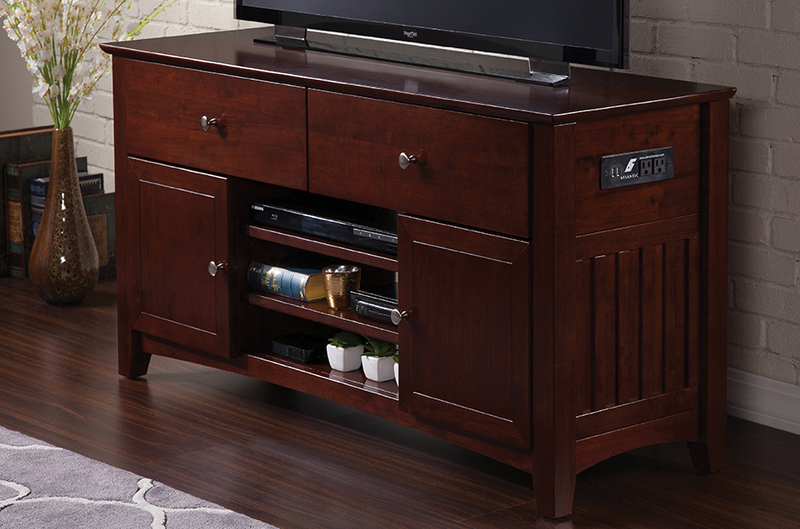 Keep your entertainment and media equipment organized with an Atlantic Furniture TV & Entertainment Console. Our enduring designs and modern styles blend seamlessly into any home. We offer both 50” and 60” tables to comfortably accommodate any size television, providing the storage space you need for all of your electronic and entertainment accessories. 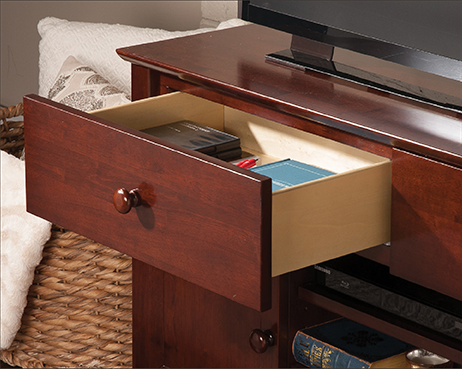 Keep your entertainment system organized without compromising safety, sustainability, or style. The chic, cottage style of the Nantucket provides a modern twist on a comfortable classic. 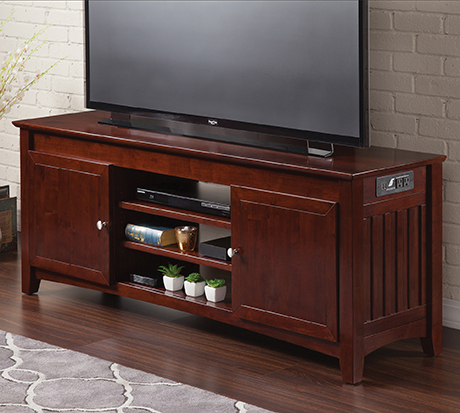 This timeless design, featuring tongue and groove detailing, brings the aura of comfort to your living room, while a lower shelf provides ample storage space. Whether conventional or modern, the Mission-style entertainment console is the ideal addition to any living space. With a variety of sizes, colors, and finishes, you'll be sure to find the perfect fit for your home. 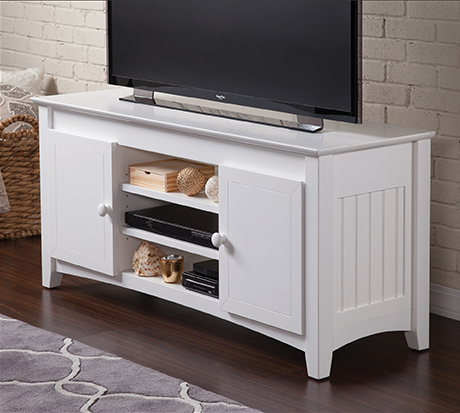 This contemporary design adds a rustic feel to any room, and includes generous storage space for all of your movies, gadgets, and games! All entertainment consoles include two adjustable center shelves and two concealed compartments, with one adjustable shelf each. 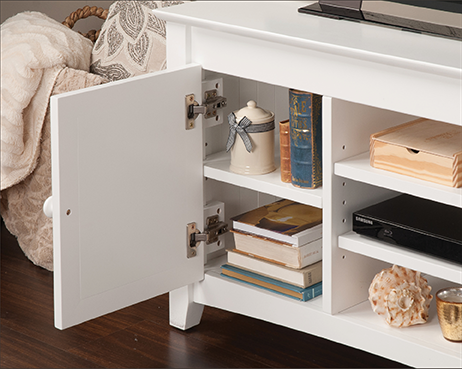 The adjustable shelves allow for a storage space completely customizable to your needs. Our smooth-gliding, full extension drawers are built with quality craftsmanship and a sturdy finish. Designed with storage in mind, our deep drawers offer sufficient space for all of your electronic accessories. Available on select models. 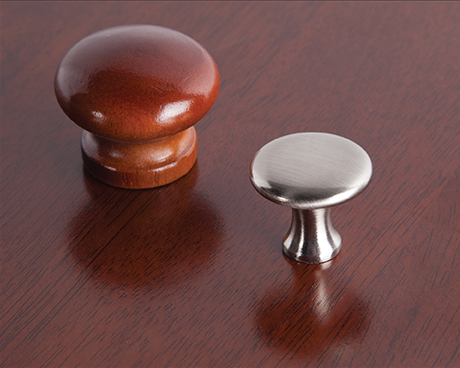 A full set of both finished wooden knobs and brushed nickel knobs are included with each piece. 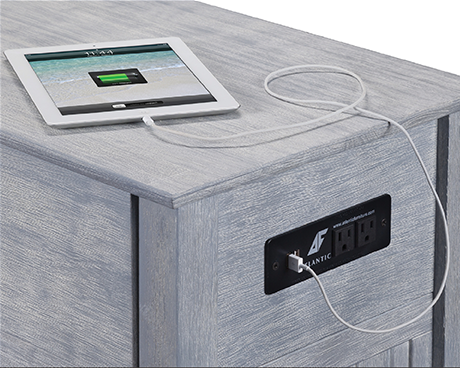 Most Atlantic Furniture entertainment consoles are available with an optional built-in charging station that features two USB ports, two 120v AC outlets, and a nine-foot cable.